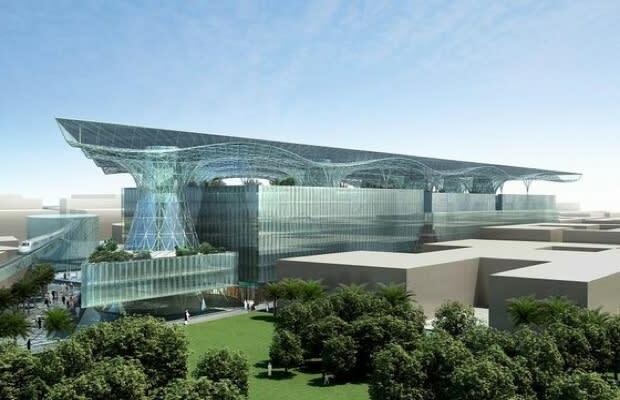 Promising to be the world’s most sustainable city when complete in 2020, Masdar City in Abu Dhabi touts a zero-carbon, zero-waste ecological system. The metropolis will need 60% less water than today’s average city and 80% of all water used will be recycled. Wind, solar, geothermal and hydrogen energy will all power the city. The excess heat caused by cement and auto exhaust in most urban areas will be almost non-existent thanks to electric cars and underground pod-like vehicles. In addition to homes for 45-50,000 residents, the city hopes to attract 1,500 businesses, principally those specializing in the creation of environmentally friendly products.